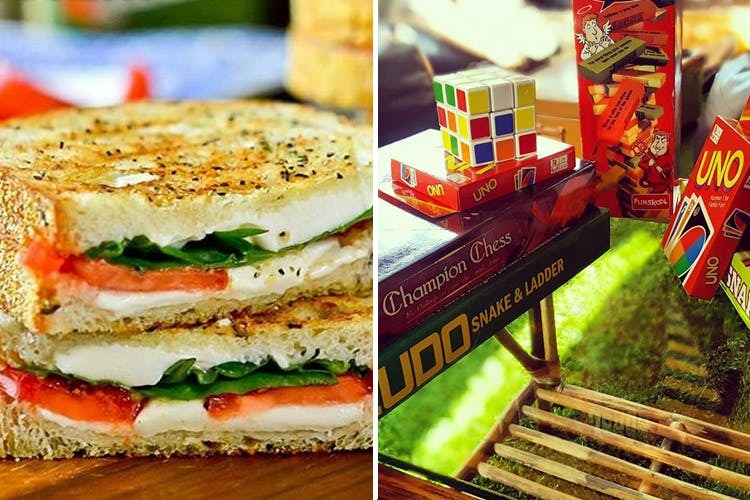 If you’re always up for a game of Ludo, or are ready to call checkmate in a game of Chess, these are the best cafés in Mumbai to go to. We hope you’re calling in your friends already. Tucked away in a narrow lane, hidden between other shady shops is Snacks & The Beanstock, an aesthetically done café with white iron chairs and blue tables, oozing perfect English café feels. Be it Uno, Taboo, Chinese Checkers, Ludo, Snakes & Ladders, or Cards Against Humanity—you name it, and the chances are they’d have it. And while you’re there, why not indulge in some quirky menu options like their paneer kurkure, cheesy fried hotdog, or chicken keema maggi. Low seating, a bunch of happy cats to pet, and cosy ambiance makes for the perfect recipe for an ideal weekday evening. Head to this Mumbai café, India’s first cat café, for a game of Jenga or Monopoly. And while you’re there, don’t forget to order a cold coffee/hot chocolate with brownie, a forever classic combination that they nail. The first thing you’ll see as you enter this café are the checkered table tops screaming board games. They have over a 100 games for you, which means you will never have to hustle with another group. Don’t hesitate in picking a new game because their courteous staff will be more than glad to assist you with the rules too! Excite much? Spacious, open-air, and charming in its old-fashioned way, this Mumbai café is your go-to leisure spot. Not only can you get your gaming skills going here, you might also get lucky with some live music. And just so you don’t look silly only playing games, order in a lasagne with a frozen lava.